Piaggio Group Americas is recalling 382 model year 2015-2017 Piaggio Fly 150 3V ie scooters. The front brake disc mounting screws may loosen and contact the brake caliper holding plate or the fork leg. If a screw loosens and contacts the caliper holding plate or the fork leg, the front wheel may suddenly lock up, increasing the risk of crash. Piaggio has notified owners, and dealers will tighten the front brake disc mounting screws after applying a thread-locking adhesive, free of charge. The recall began July 31, 2017. Owners may contact Piaggio customer service at 1-212-380-4433. 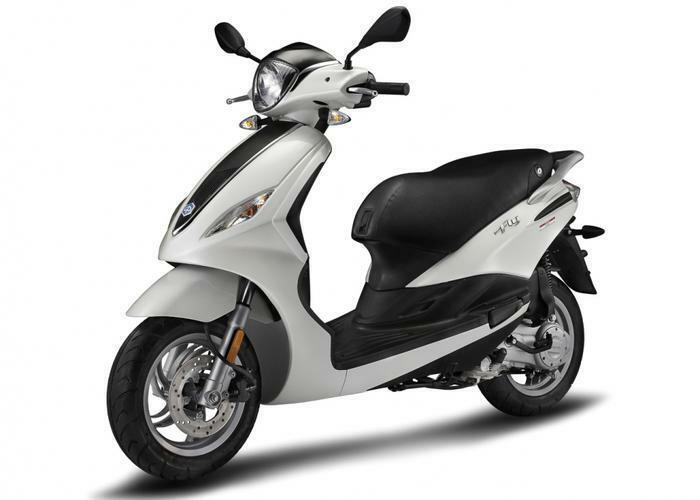 Piaggio's number for this recall is 0000313.